Taipei, Taiwan, February 12th, 2017 – GIGABYTE TECHNOLOGY Co. Ltd, a leading manufacturer of motherboards and graphics cards, has released new BIOS for the GIGABYTE AM4 motherboards based on the AMD X370, B350, A320 chipsets. With the latest BIOS update, the AM4 motherboards support the newest AMD Ryzen™ Desktop Processors with Radeon™ Vega Graphics, which fuse both CPU and GPU functions together through new architecture. Not only does this synergy allow for solid processor performance, it also produces impressive graphics performance even without the addition of dedicated graphics cards. By upgrading their firmware with the newest BIOS updates available on the GIGABYTE official website, users can bring out the full potential of these AM4 motherboards with exclusive Smart Fan 5 Technology for effective cooling and Ultra-Durable PCIe armor for added durability. “GIGABYTE has done extensive research and preparation into developing the BIOS to maximize stability and compatibility with the newest AMD Ryzen™ Desktop Processors with Radeon™ Vega Graphics,” said Jackson Hsu, Deputy Director of the GIGABYTE Motherboard Business Unit. 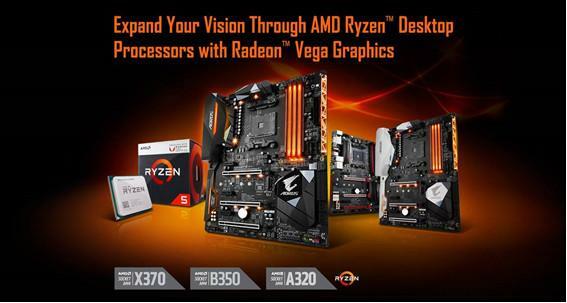 AMD Ryzen™ Desktop Processors with Radeon™ Vega Graphics combine the processor performance of the 4-core, 8-thread Ryzen™ 5 2400G and 4-core 4-thread Ryzen™ 3 2200G built from 14nm technology with the graphical performance of Radeon™ Vega GPU architecture, which can handle 11 polygons per clock, to offer the best processor and integrated graphics performance for value gaming. Crystal clear video quality from the boards’ native HDMI 2.0b with 18Gbps transmission bandwidth, 2160p resolution at 60Hz refresh rate, HDR at 21:9 aspect ratio, along with high-fidelity audio quality from up to 32 audio channels, provide users with the most immersive multimedia experiences. 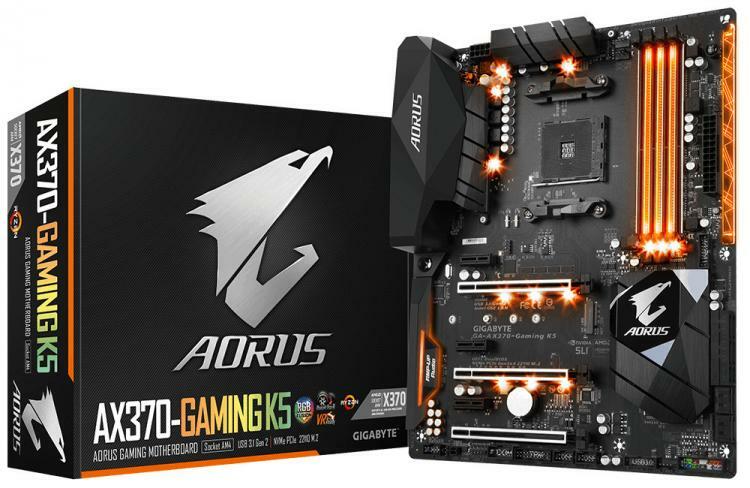 Through testing, GIGABYTE AM4 motherboards with this AMD technology have demonstrated overclocked DDR4 memory performance at 3600MHz or higher and also graphics performance rivalling that of discrete graphics cards. Composed of Ultra-Durable components, GIGABYTE AM4 motherboards are designed with an emphasis on durability in order to deliver sustainable performance. Exclusive Smart Fan 5 technology is the cooling solution of choice for these motherboards and combats excessive heat generated from heavier workloads. Ultra Durable Armor reinforces the structural integrity of the PCIe slots to prevent these slots from bending by heavier graphics cards. When it comes to motherboard aesthestics and style, RGB Fusion Technology is a fan favorite. Users can utilize RGB Fusion App as a unified interface for customizing RGB lighting functions to construct their own lighting configurations, adding their own unique style to their PCs.